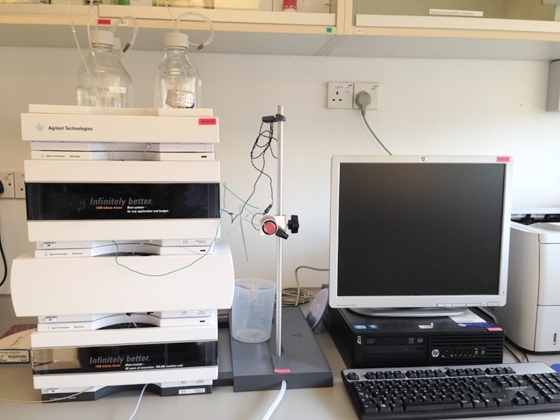 The purpose of the Neurochemistry Lab is to extract and purify various biological molecules, including monoamines, peptides, proteins, and steroids, from the brain, using various homogenizers, affinity columns and high performance liquid chromatography (HPLC). Enzyme-linked immunosorbent assay (ELISA) is routinely used to quantify the molecule of interest. 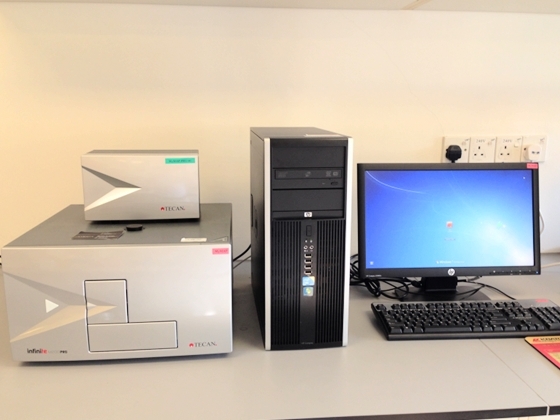 Liquid chromatography-mass spectrometry (LC/MS) will be performed to identify the structure of unknown molecules by collaboration. 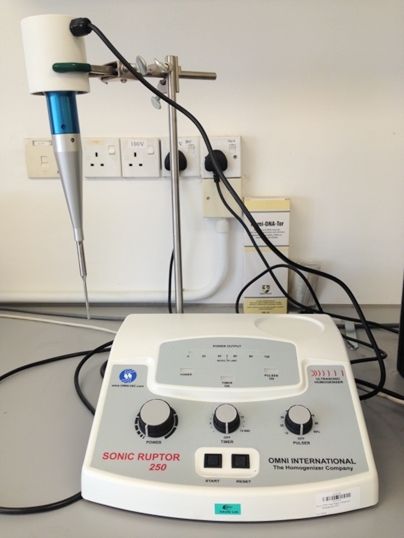 → The Omni Sonic Ruptor Ultrasonic Homogenizer creates a total system for ultrasonic disruption. Popular applications are creating emulsions, cell disruption and homogenization of brain tissue. → High-precision capillary LC separation with powerful and sensitive detection for tiny samples and extremely low analyte concentrations. The capillary pump features electronic flow control with active feedback for stability at flow rates from 1 µL/min to 100 µL/min. Retention time is stable irrespective of column back pressure. → The Infinite 200 PRO can provide a full range of leading detection methods in one easy-to-use modular instrument. The Infinite 200 PRO offers excellent sensitivity, multiplexing capabilities and high format flexibility, including 6- to 384-well microplates, PCR plates, cuvettes and Tecan’s NanoQuant Plate™ for low sample volumes. 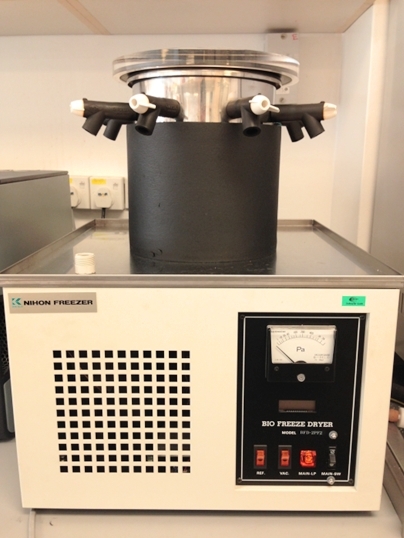 Freeze-drying, also known as lyophilization is a dehydration process used to preserve a unstable material or to make the material more convenient for transport. We routinely freeze-dry purified molecules to make a standard for ELISA or to further analyze the molecular structure by LC/MS.